Nifty opened flat just below the previous day’s close and traded in a small range of 20 points. A small breakout during the afternoon session saw it above 5330, but closed with a small gain of 24.75 points at 5327.75. The Option Table saw huge addition at 5300PE. 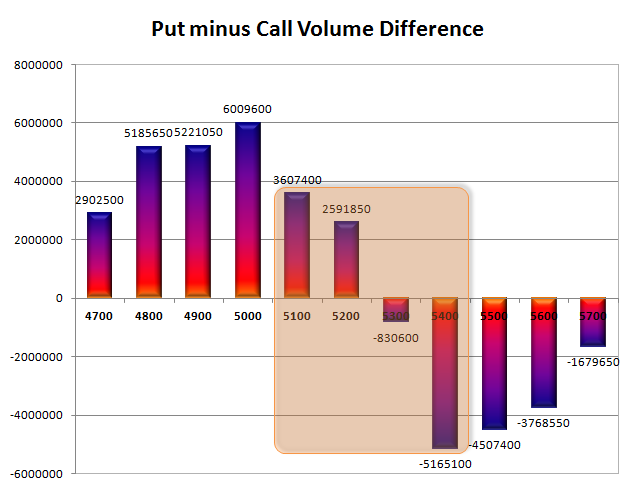 Call option 5400-5600 added 14.5 lacs huge amount of OI, with huge liquidation seen at 5300 and lower levels. Put Option 5400-4900 added 26.5 lacs huge amount of OI, with profit booking seen at 4800 and below levels. Highest accumulation on Call option 5400 at 67.7 lacs & 5500 at 55.1 lacs whereas Put option 5000 at 72.7 lacs & 5200 at 59.5 lacs. 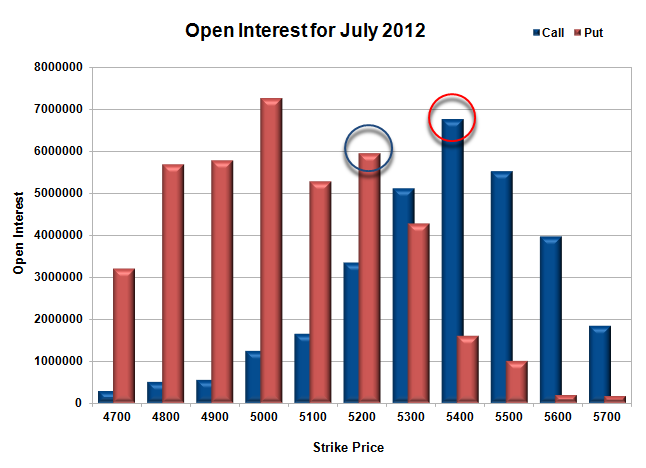 Nifty Open Interest is at 2,37,65,850 up by 4,75,200 with increase in price, most probably long build-up. Bank Nifty Open Interest is at 27,91,550 up by 83,400 with increase in price, most probably long build-up. FII’s bought huge 3.46 lacs Futures, most probably long build-up, their OI also increased by 5.02 lacs, and their average price per contract comes to around 5189. FII’s future open contract as on date is 5.37 lacs. 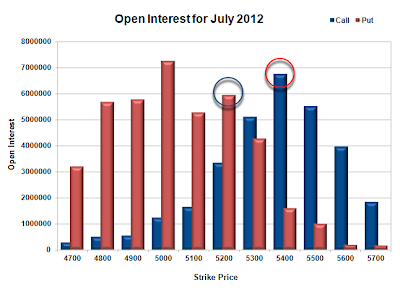 PCR Open Interest (Volume) has just jumped above 1.5 with huge addition at 5300PE to 1.510. 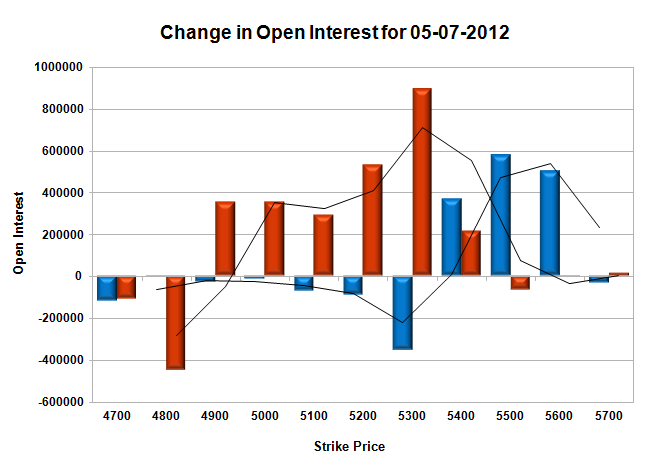 Support is at 5300 with huge addition of 9 lacs, and below that at 5200 with OI of over 59.46 lacs. Resistance at 5400, with highest OI of 67.7 lacs and above that at 5500 with OI of just above 55 lacs. Range as per Option Table is 5264 -5373 and as per VIX is 5276 - 5378 with 5300 as the Pivot.